The program will start as a self-running demonstration of a mission that has already been recorded. You can either watch the entire mission as recorded or you can enter the cockpit at anytime and take control. If you choose to fly the mission yourself, be aware that for this demo you will only have about 10 minutes of fuel. 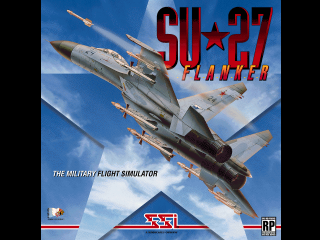 Su-27 Flanker is a realistic and detailed simulation of the Russian Sukhoi Su-27 fighter aircraft.